Growing up in Michigan, the Big Three are part of your life. Chances are you know someone who works at one of the Big Three automakers if you don’t yourself. Having grown up in GM country and moving to metro-Detroit it was interesting to find a shift in position on the different auto makers throughout the state. But no matter which auto maker is your favorite, the downtown skyline of Detroit would not be complete without the GM Ren Cen. The building originally updated and renovated by Ford in the 70’s is as iconic as the movies it has starred in over the decades. 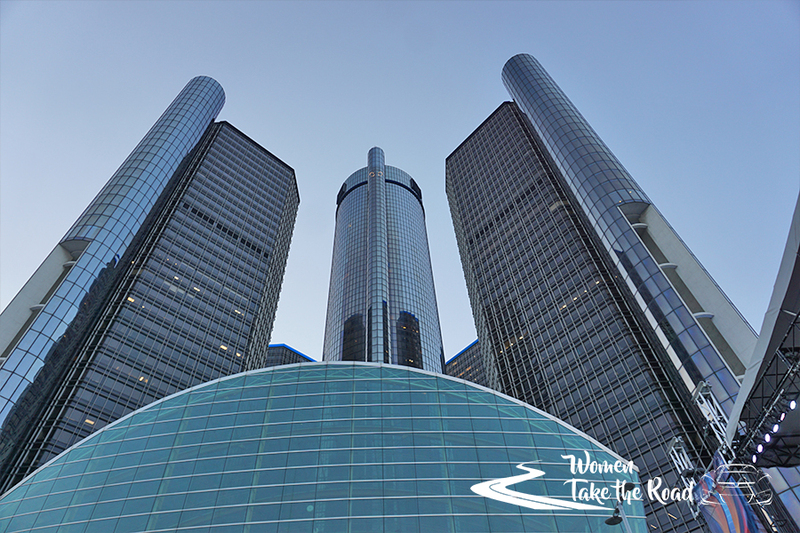 With hotels, restaurants, businesses and shopping inside the towers and the base a visit to the GM Ren Cen is a regular place to visit for metro-Detroiters. Starting last year, GM started to update the lobby area and public areas of the concrete building. Once large imposing concrete masses have been replaced by floating glass meeting areas. 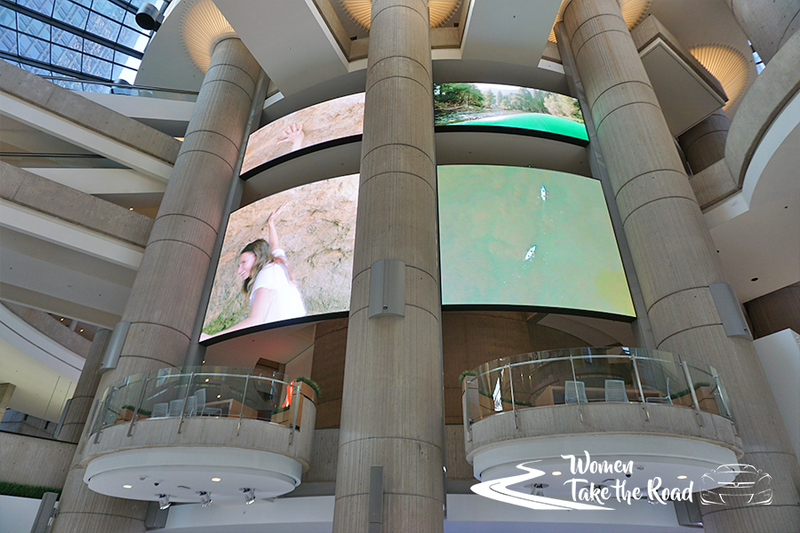 The large concrete pillars are now fitted with LED screens that play videos about current events as well as GM news and accomplishments. 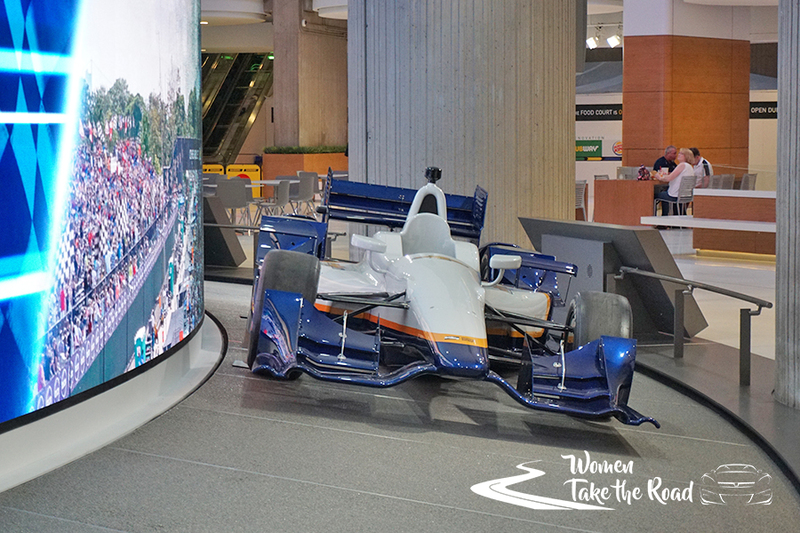 The main floor has been transformed into a functioning showroom where the public can interact with the latest vehicles, slide inside the seats and do everything but test drive them. 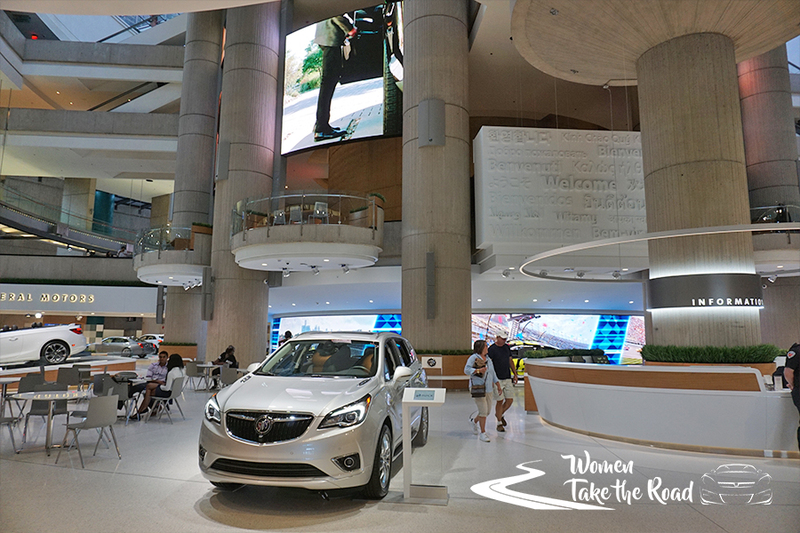 With a staffed information desk, guests can get all of the information on the vehicles in the lobby, or just the one that they may want to drive home with their family. 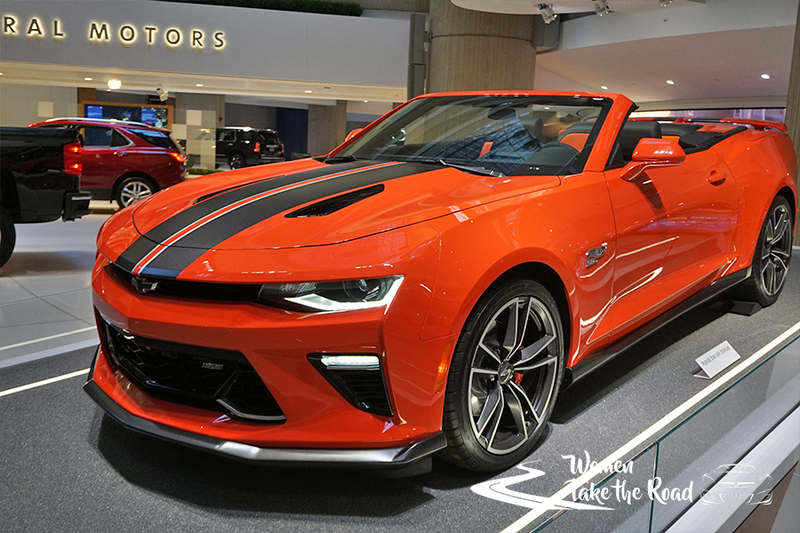 If you’re looking for a new car, need a place to relax with friends or want to learn about GM and their vehicles, GM world has everything you are looking for – without the high pressure sales you may get at a dealership. 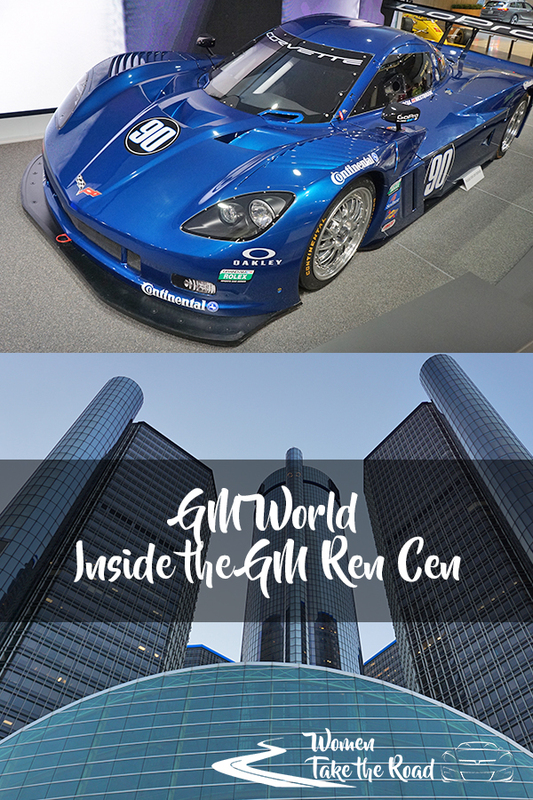 Inside GM World, you will see a rotating belt at the core of the building. 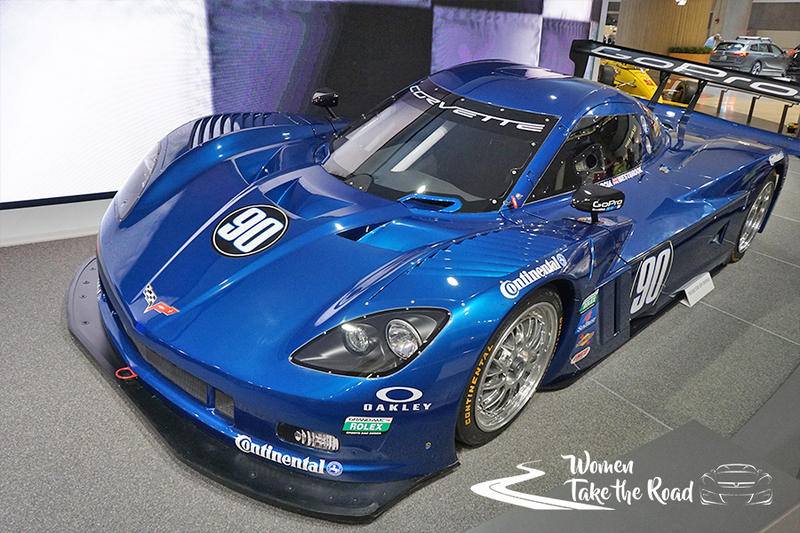 This is a display focusing on the motorsports side of GM that consumers don’t usually see. From historic racing cars, to Indycars and even pace cars, racing fans will recognize some of the displayed vehicles that rotate on the belt. Behind each vehicle is an LED display with a bit of a hint of the cars past. But around the belt are interactive plaques that tell you more about the car going by as well as GM’s involvement in racing and their historical vehicles. 1967 Camaro Indy 500 pace car that was driven by Mauri Rose. 2015 Corvette Indy 500 pace car that was driven by Jeff Gordon. 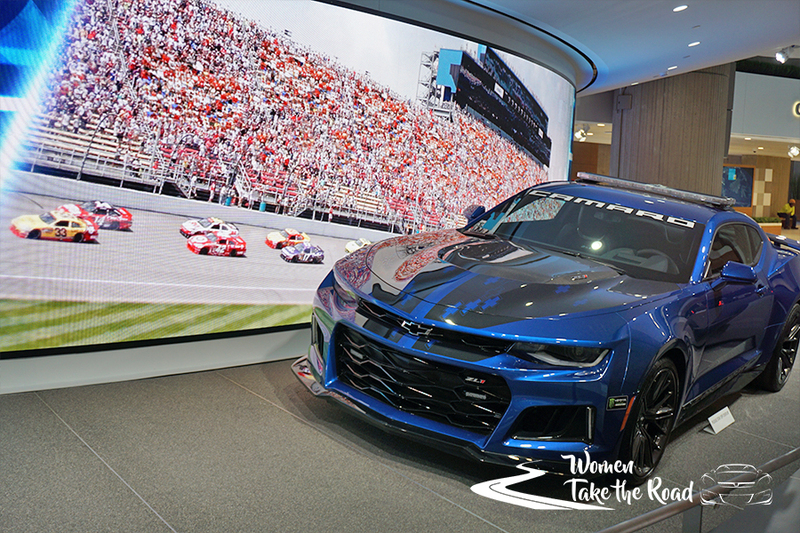 2016 Camaro SS Indy 500 pace car that was driven by Roger Penske. 2018 Silverado NASCAR support truck. Silverado NASCAR Camping World Truck Series pace truck. 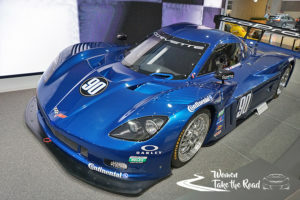 2012 #90 Corvette Daytona Prototype. 2018 #48 Camaro ZL1 Hendrick Motorsports Jimmie Johnson NASCAR race car. 2018 Camaro ZL1 pace car. 2018 Camaro GT4.R “Blackdog Speed Shop” World Challange GTS race car. 2001 Corvette C5-R American Le Mans Series race car. 2015 Cadillac ATS-V.R IMSA GT-3 race car. 1987 #5 Rick Mears Chevrolet-powered Penske PC17 IndyCar race car. Becky is an interior designer, an adjunct professor, a foodie, a product reviewer and a gluten free blogger in Detroit, Michigan. She runs a family friendly lifestyle site Week99er.com. Week99er is a family friendly site featuring products, events and recipes for your family.